New passenger vehicle registrations in Western Europe continued to decline during the first quarter of 2012. Germany, Britain, France and Italy were the biggest auto markets in Europe. 2012 began with weak car sales in Western Europe with new passenger vehicles registrations down by 7.3% for the first quarter of 2012. Germany and the United Kingdom (UK), the two largest car markets in Europe, showed modest growth. However, car sales in other major markets including France and Italy were very slow and the main reason for the weak figures. Most smaller European countries registered positive car sales growth for the first quarter of 2012. New passenger vehicle registrations in Western Europe remain weaked with the European Union plus EFTA market declining by 7.3% to 3,427,677 cars during the first quarter of 2012. New car sales in March – traditionally the most important volume month for Europe as a whole – was down 7% to the lowest level since 1998. During the first three months of 2012, the best performing market was Iceland where car sales figures more than doubled. In contrast, the Portuguese car market was almost halved. EU27* – figures for Malta not included. New passenger vehicle registrations in Europe were weak with March 2012 seeing the sixth consecutive month of declining new car sales. March is the single most important month for car sales in Europe and although the German and British car markets showed some growth, total sales were down 7% to the lowest first quarter figures since 1998. The German car market easily remained the largest in Western Europe. Moderate growth in British car sales during the first three months of 2012 saw the UK market overtaking the sharply lower French market to become the second largest passenger vehicle market in Europe. The important French and Italian car markets both contracted by over 20% for a very weak start to 2012. These two important countries were the main drag on the sales performance in Europe – only Portugal (-48%) and Greece (-32%) performed worse. The largest increases in the new passenger vehicle registrations during the first quarter of 2012 were recorded in Iceland (+101%), Romania (+44%), and Finland (+34%). However, these markets are very small with larger markets only showing small increases or declines. 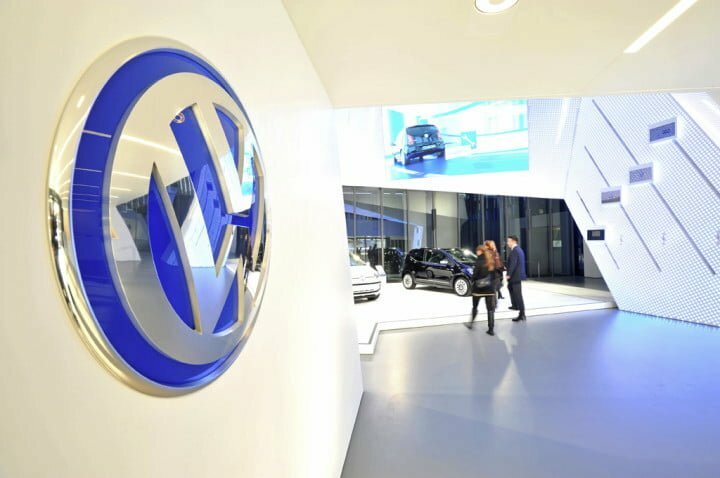 The best-selling car manufacturer in Europe in 2012 first quarter remained Volkswagen.